Chad Ochocinco's Realty TV Show, "Ochocinco: The Ultimate Catch"
By now, some people might be wondering if Chad Ochocinco is an NFL football wide receiver or a Hollywood celebrity. After his first reality TV show this season in Dancing With The Stars, Chad Ochocinco has apparently not had enough of the bright lights. 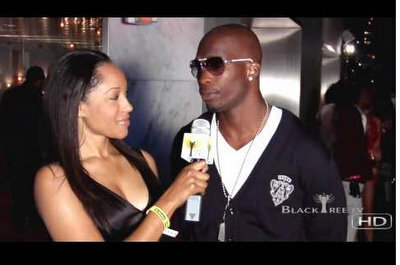 Tonight on VH1, his new reality TV show called “Ochocinco: The Ultimate Catch” debuted with a 90 minute episode. This new reality TV show has Chad trying to chose a date. The show started out with 85 women (ocho-cinco), and gets narrowed down from there. Regardless of his ambitions for reality TV, I would think that someone in the Bengals organization is going to have some issues with all of the extra curricular activities of Chad Ochocinco.